Here we are, ladies and gentlemen. If you have been following this series of five parts, then you have read about forty excellent Nintendo Wii titles that are worthy of being in one's library (at least in this writer's opinion). We have arrived at the final part where the final ten Wii games will be listed. If for some reason you missed out on a previous part, look at the end of this article for links to all four individual parts. On this final installment of The 50 Best Nintendo Wii Games, we examine the sequel to one of the most revolutionary games of the generation, we take a look at a *gasp* good 3D Sonic game, and we cheer on Kirby's 20th anniversary with a superb collection. Are you ready for the final ten Wii games? After the stellar sales and appeal of the original Wii Sports, it only made sense for Nintendo to follow that success up with a new title. Rather than go the easy way, Nintendo opted to introduce a brand-new peripheral, Wii MotionPlus, to offer increased accuracy and immersion for players of Wii Sports Resort, a title made up of twelve activities. Such sports included Wii Sports favorites like bowling and golf were made more fun thanks to MotionPlus. Other sports featured were swordplay, archery, wakeboarding, power cruising, canoeing, basketball, table tennis, and cycling. Each sport featured multiple challenge levels for players to get acquainted to each activity as well as different spins on a given sport (e.g. Bowling's 10 pin and 100 pin forms). Outside of the Wii MotionPlus attachment (now included within new Wii remotes), Wii Sports Resort introduced a locale that would be featured in many future Nintendo titles: Wuhu Island. 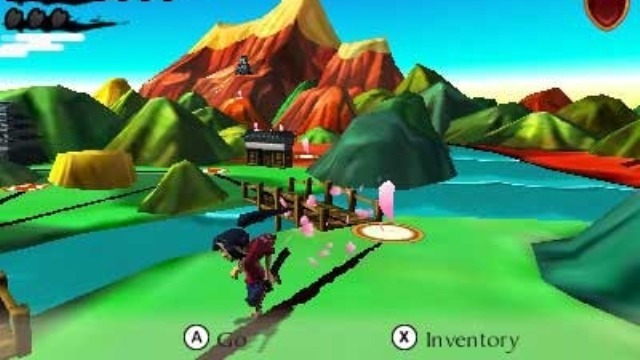 It can be seen in multiple games such as Pilotwings Resort and Mario Kart 7. 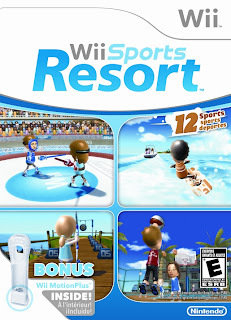 Many imitators have tried to best Nintendo's efforts with Wii Sports and Wii Sports Resort, and very few have come close to rivaling the experience and success of both titles. 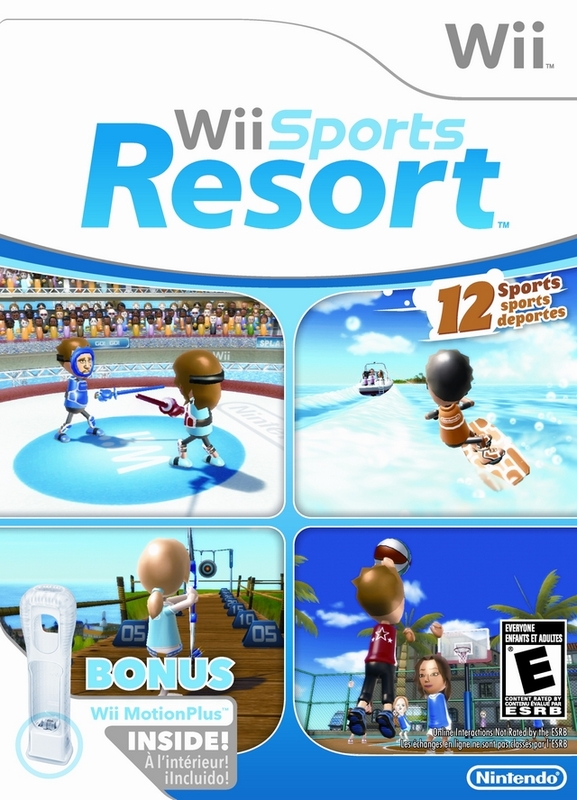 Wii Sports Resort might be mocked for being a "mini-game collection", but give the game some time, especially with family and friends, and you will be delighted with a fantastic virtual vacation. After the frowned upon Shadow the Hedgehog, the abhorrent 2006 Sonic the Hedgehog, and a less than spectacular Sonic Unleashed, Sonic fans felt that the franchise was better off dead. Then a game that was honest to goodness excellent came out and exclusively on Wii, no doubt. It was none other than Sonic Colors. The game was set on an interstellar theme parked made by Dr. Eggman. The gameplay featured a mix of traditional side-scrolling, over-the-shoulder gameplay, and both fast and more meticulous sections of levels. The new addition that shook things up for the game was Wisps. The Wii version possessed eight different types that could be used to reach otherwise inaccessible areas. Some would act like a drill, allowing Sonic to tunnel through soft patches of dirt to make it to secret areas; some would launch Sonic high into the air like a rocket; some would turn Sonic into a laser and bounce off walls -- the point was that each served a purpose. Some levels were short and used one or two Wisps exclusively. Also contained in each level were five Red Rings. Collecting these would unlock simulation levels where Sonic could earn a fabled Chaos Emerald. 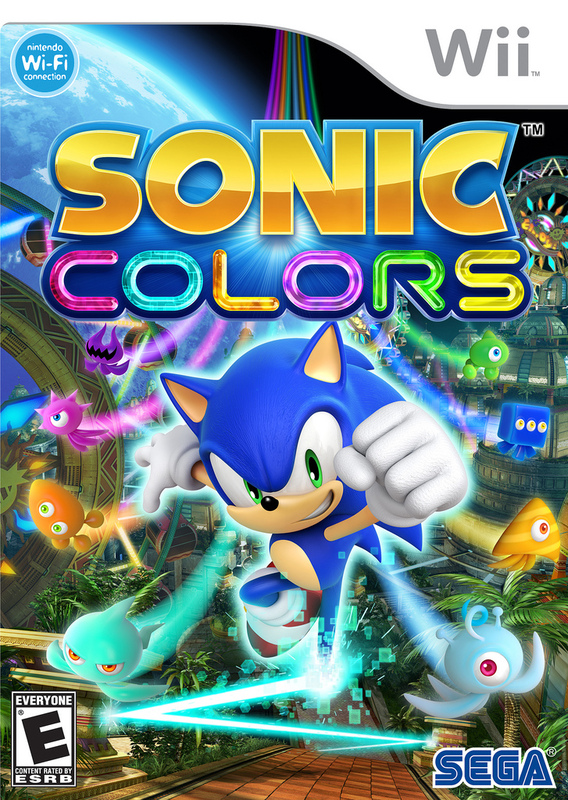 Alongside the brilliant gameplay and improved controls, Sonic Colors offered an outstanding presentation through graphics as well as a stellar soundtrack. The formula and foundation of Sonic Colors would be used in the PlayStation 3 and Xbox 360 Sonic Generations. If Sonic Team can keep utilizing this winning formula, Sonic's fortunes might turn out better than expected. Fortune Street was the first game in the long-running Square Enix Itadaki Street franchise. The game was published by Nintendo in North America. For those unfamiliar with how the games work, Fortune Street follows the same structure. It is sort of like Monopoly in some aspects, not so much in others. You roll a die to move around a board floating over a familiar Dragon Quest or Mushroom Kingdom locale. As you move around you buy properties that you land on. When another player lands on your space, you earn money from them. One of the differences from Monopoly was the concept of buying and selling stocks. 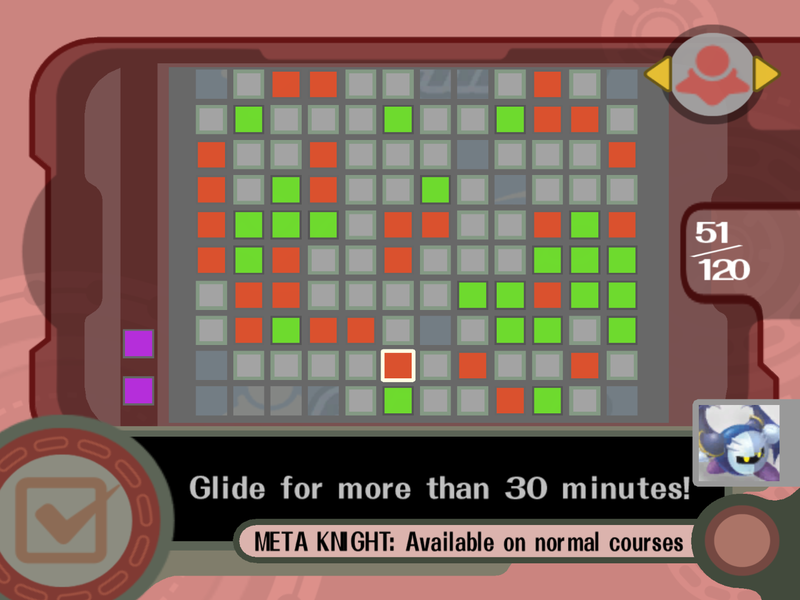 Additionally, players are forced to gather a set of four suits (spade, club, diamond, and heart) to level up and gain a slew of gold once they reach the start of the board (the bank). The goal of the game was to reach the starting position with the necessary amount of money (possessed goal, value of stocks, and value of properties). It all sounds more confusing than it is, but it does take some learning to grasp. 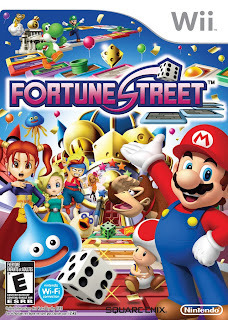 Fortune Street is by no means a Mario Party-like game, so get rid of such a notion right away. It, however, requires a lot more planning and skill than the more luck-heavy party franchise. 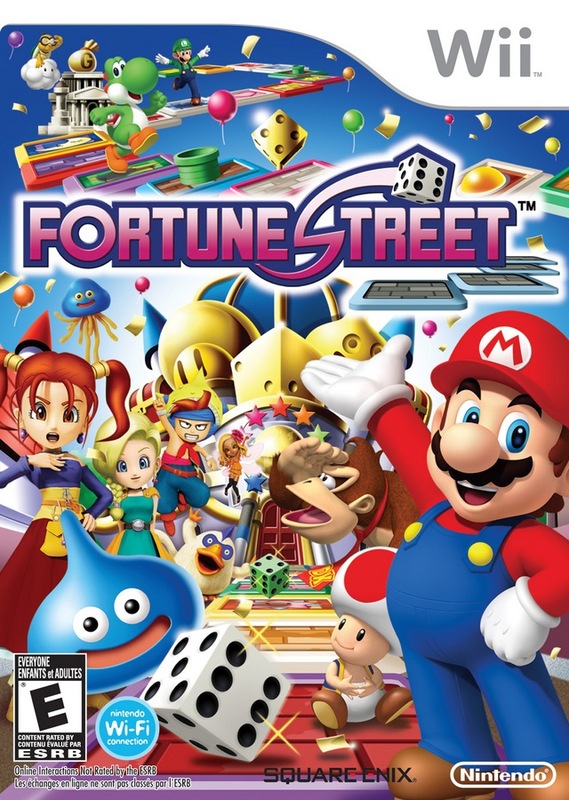 Containing online play and a host of fan service for Dragon Quest and Mario franchise fans, Fortune Street has a lot of value in the Wii market. As the back of the North American box of Super Paper Mario says, Mario does indeed flip out in Super Paper Mario. The game was quite unlike previous installments in the Paper Mario series as this game focused more on platforming than usual, forgoing the traditional turn-based battles the series was known for. Rest assured, however, there were still role-playing game elements involved in Super Paper Mario such as HP, experience (earned through gaining points), and levels. There were 32 individual levels within the game, branched out over eight chapters. Each chapter took place in a different dimension with the goal of gathering all eight Pure Hearts to right the wrongs of the big bad. 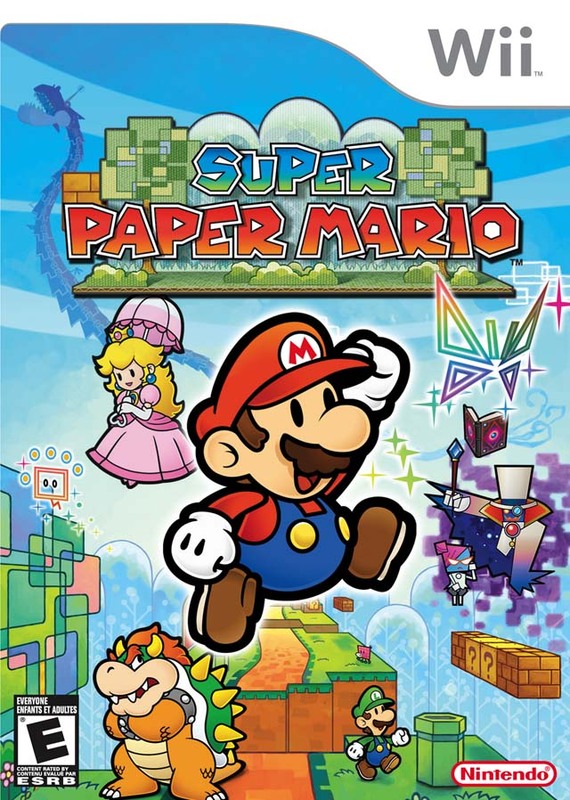 The main gameplay element of Super Paper Mario was the ability for Mario (and only Mario) to flip between 2D and 3D. In 2D, it was your typical Mario platformer. In 3D, the perspective switched and revealed much more depth for Mario to explore. If a batch of blocks in 2D was blocking Mario's progress, he could switch to 3D to walk around them, and so forth. Including Mario, there were four characters players could eventually assume the role of. Super Paper Mario was a nice change from the original formula and an enjoyable experiment. It is a game that is paper thin but thick with fun. Leave it to Nintendo to make war colorful. 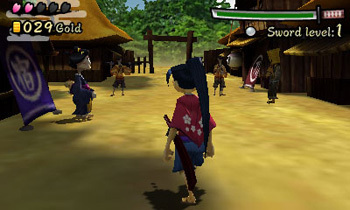 Kuju Entertainment (now Headstrong Games) developed this Wii sequel to the GameCube original. Battalion Wars 2 takes the art of war across twenty missions of increasing difficulty and stakes. 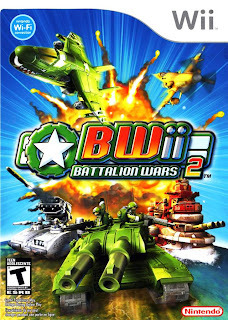 Unlike the series it is based off of, Advance Wars, the Battalion Wars series brings with it real time combat instead of turn-based affairs. In addition to the land and air combat of the original, new naval units were added into the mix such as battleships, submarines, and landing craft. To increase the odds in battle, players could capture headquarters, factories, air bases, docks, and other buildings to build more units in a faster amount of time. Alongside the five returning factions from Battalion Wars, the sequel introduces a sixth nation known as the Anglo Isles. Outside of the stellar solo campaign comes multiplayer (an oversight of the original Battalion Wars) which is online for two friends or two total strangers to tackle, consisting of three different modes: skirmish, assault, and cooperative. Whether you wish to team up or battle in tense conflict against one another, Battalion Wars 2's online has you covered. Perhaps my only gripe with the game outside of the occasional odd control problem is the lack of splitscreen multiplayer. Still, Battalion Wars 2 offers a splendid amount of whimsical military action and a high dose of color. 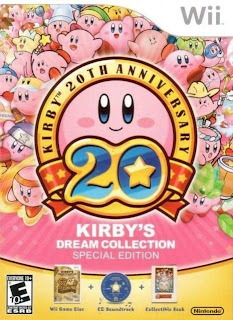 We celebrated Kirby's 20th anniversary in style with an in-depth review of this next game on the list: Kirby's Dream Collection: Special Edition. Unfortunately for my PAL pals, the game is not yet coming to your sunny shores, so I apologize for my upcoming gushing over this game. 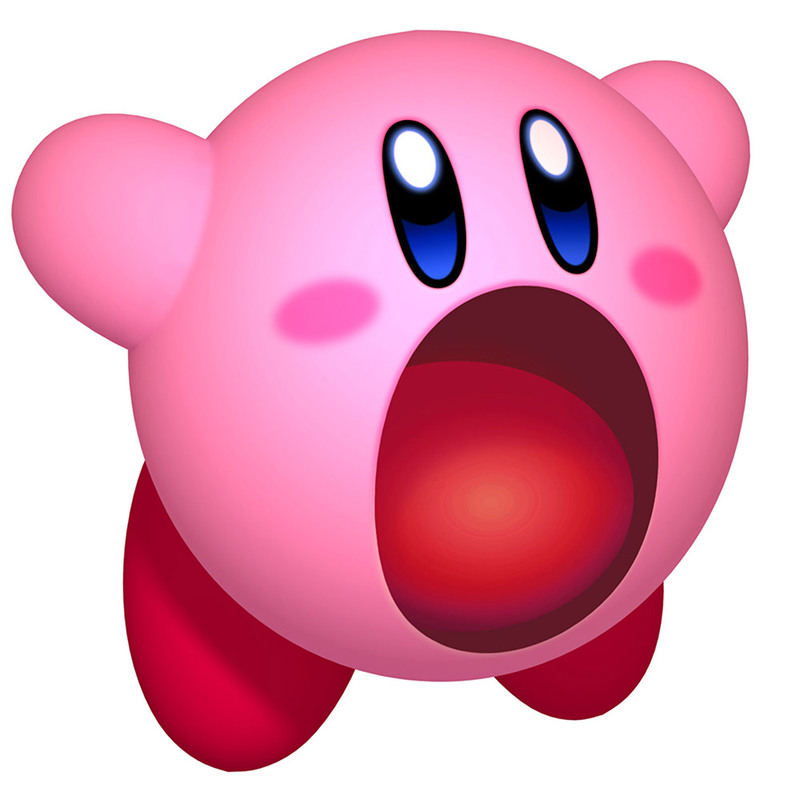 The collection featured six of Kirby's greatest adventures: Kirby's Dream Land (Game Boy), Kirby's Adventure (NES), Kirby's Dream Land 2 (Game Boy), Kirby Super Star (Super Nintendo), Kirby's Dream Land 3 (Super Nintendo), and Kirby 64: The Crystal Shards (Nintendo 64). The games ran exactly as they did on their home systems, for better or worse. Regardless, each game remained fun to this day. 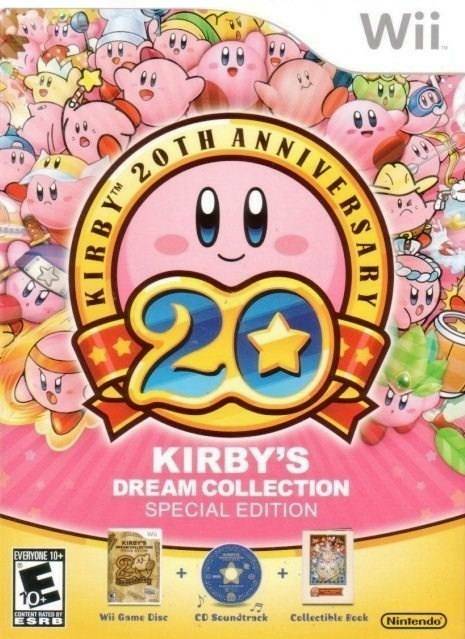 In addition to the six games on the collection, there was bonus content included such as an interactive timeline which detailed every game Kirby has ever been in, several challenge stages a la Kirby's Return to Dream Land, and several episodes of the Kirby: Right Back at Ya' anime. A bonus CD was also in the package, offering numerous musical tracks from past Kirby games, and even a few original arrangements. Kirby's Dream Collection: Special Edition brought with it a massive celebration of all things Kirby, making Mario's 25th ROM compendium look like a student film in comparison. We have already had a Next Level Games title on this list. It was Punch-Out!! Now we have Mario Strikers Charged, the exponentially better game than its GameCube predecessor, Super Mario Strikers. 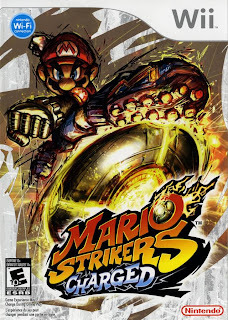 Mario Strikers Charged was very much a nontraditional soccer title (sorry, I'm American, so I will refer to it as soccer). Mario and friends told the refs that they could take their red and yellow cards and put them where the sun don't shine as there are few rules in the Mushroom Kingdom's version of the world's most loved game. Items like red shells and bananas could be utilized, opponents could be knocked to and fro, special moves could be unleashed on foes, and the ultimate in offense, the Mega Strike, could give a team upwards of multiple goals in one play. While the single player content was on the meager side, the multiplayer options were phenomenal. North America's first online Wii title was Pokemon Battle Revolution. Suffice to say, Mario Strikers: Charged took the crown as best Wi-Fi Wii game for the time quite easily. Online matches and tournaments offers plenty of online entertainment for the Mushroom Kingdom soccer elite. Whether you prefer to call it soccer or its more popular name football, Mario Strikers Charged offers a fast and frenetic bit of arcade sports action for Wii owners. 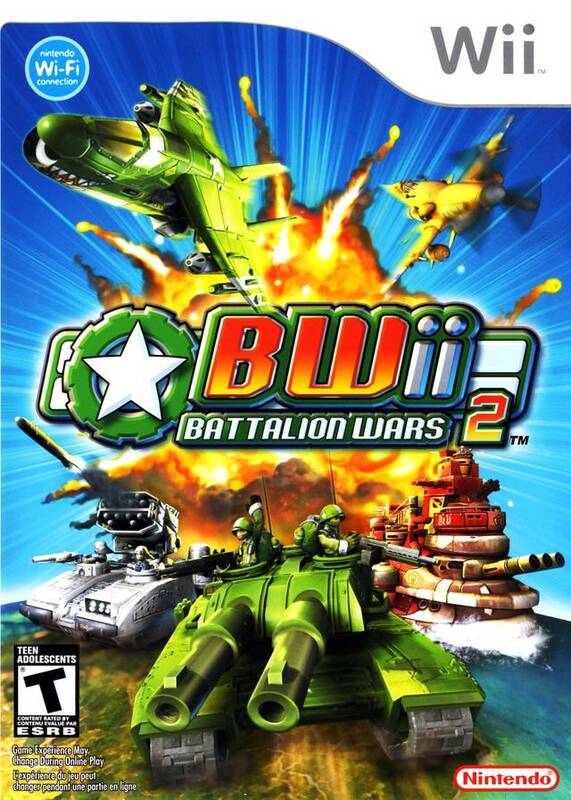 Based off of Japanese independent developer Kenta Cho's Tumiki Fighters, Blast Works: Build, Trade, Destroy was a massively overlooked but definitely worth it Nintendo Wii title. The basic gameplay was a shoot-em-up on the x and y axes. 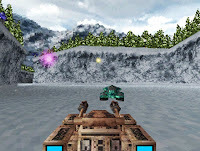 As enemies were eliminated, their wreckage could be able to be collected by the player's ship. For instance, if a player caught a fallen cannon from an adversary's ship, they would have a cannon connected to their aircraft, pending where it landed on it. By the end of a level, a player could have a massive arsenal of firepower attached to his or her craft, great for offense and defense. But that was just one part of Blast Works. The other was the ability to build and trade (hence the subtitle) created ships, enemies, pieces, and levels via the Nintendo Wi-Fi Connection and share them with the world. Majesco even created an online sharing hub for players to showcase their creations for all the world to see (seen here). Alongside the new content was four of Kenta Cho's past games for players to try out and enjoy. 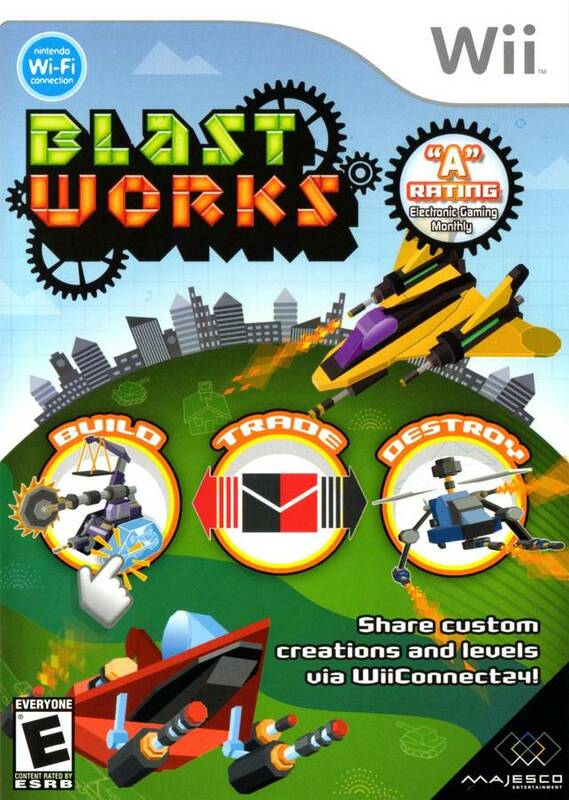 For a then twenty dollar game, Blast Works was one of the greatest deals on the Nintendo Wii, and the more people that know about this excellent title, the better. One thing that annoys me about the Zelda fan base is something that they like to condemn as untrue: the Zelda cycle. Well, it never fails to show up. When Twilight Princess came out, The Wind Waker was better. Now that Skyward Sword is out, Twilight Princess is now looked at more fondly. I'm of the camp that nearly every Legend of Zelda game is something special and worthy of most people's time. Twilight Princess is definitely one of those titles, featuring some of the best designed dungeons in Zelda history. 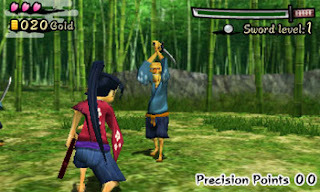 The Wii version of the game offered motion control combat, albeit simple, and other touches such as sounds coming from the speaker of the Wii remote (sword slashes, the infamous chime when a puzzle is solved, Midna's laughter, etc.) and the ability to use certain items with much greater ease and precision than with an analog stick. 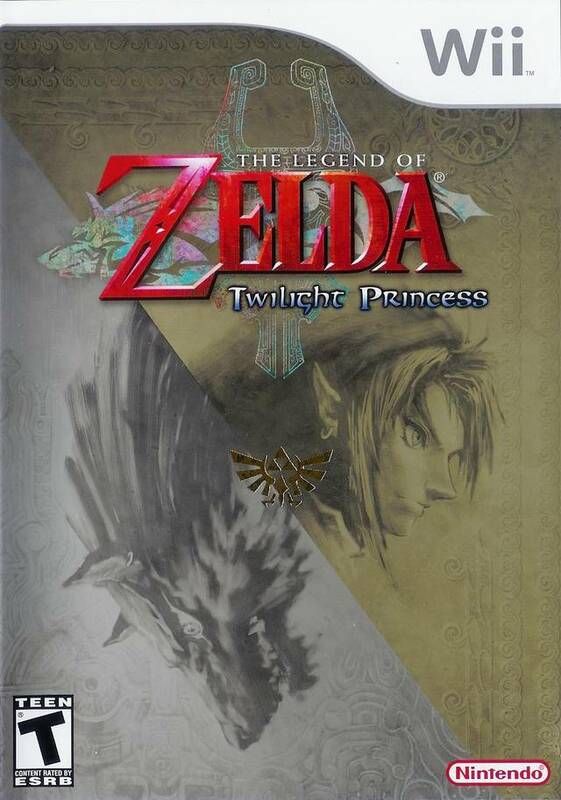 It really does not matter which version of The Legend of Zelda: Twilight Princess you choose. You either get advanced camera control (GameCube) or better controls in general (Wii). Which ever version you choose, you are bound to be blown away by a masterful game. Some say the series is antiquated and in need of a massive shakeup; I say the series has never been better. 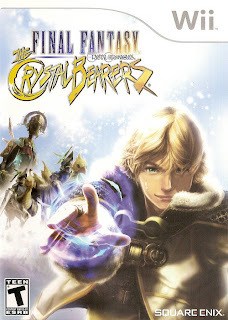 A Final Fantasy adventure exclusive to the Wii (and better than XIII, if I do say so myself), Final Fantasy Crystal Chronicles: The Crystal Bearers (take a deep breath after you say that long title) was an action-adventure game that starred a young male named Layle with telekinetic powers. Unlike typical Final Fantasy games, the action in The Crystal Bearers took place in real time. Through using his telekinetic powers, Layle could grab foes, throw them into others, as well as grab onto environmental objects. These different maneuvers could cause interesting interactions with enemies. Also, Layle did not gain experience or levels. He earned more health through eliminating all of the enemies in a given area of the world, and he gained strength through equipment such as monster drops. Regardless, battling was just one part of the experience. The story took players through mini-game like events such as performing a getaway on Chocobos while using Layle's powers to get rid of his pursuers, helping a friend out in winning a beach volleyball-esque game, finding children in a game of hide-and-seek, carefully avoiding detection aboard a locomotive, and piloting an airship through a tight canyon. The Crystal Bearers had its true longevity through challenges and achievements -- hundreds of them -- that players could try to complete. Dozens upon dozens of hours could be spent doing as many tasks as possible. Some critics argued that the game should have been more of an RPG than an action-adventure romp. If you can look past that a Final Fantasy game is more action-adventure than traditional Final Fantasy, then The Crystal Bearers is a fantastic addition to your library with a stunning presentation and soundtrack to match. Stay tuned in the coming weeks as I may have another "50 Best" five part article in store. It pertains to a certain portable on the market. Find out what it is soon! It's been a while since we've heard anything about LittleBigPlanet Karting. Time to change that with this all-new story trailer for the game. Between LittleBigPlanet Karting and Sonic & All-Stars Racing Transformed, arcade kart racing fans have a lot to take to the track to this fall. Yesterday I posted my review of Sakura Samurai: Art of the Sword. Now we get into another 3DSWare title available on the eShop, Family Tennis 3D. Get ready to be served, SPC reader. Arc System Works is a name more recognized from its fighting games such as Guilty Gear and Blazblue. However, the Japan-based studio is also recently known for their casual titles appearing on the Nintendo Wii, DS, and now 3DS. 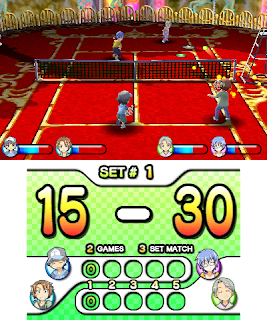 Titles such as ARC Style: Soccer, Family Card Games, and now this 3DS tennis game, Family Tennis 3D. Does this more casual-themed tennis title hit a smash of a shot or does it not even cross over the net? There are eight members of the family to play: the baby of the family Billy, his older sister Sarah, Daddy, Mommy, the cousin who is appropriately named Cuz, Auntie, Gramps, and Nan. Each has their own series of attributes in five categories: Speed, Power, Accuracy, Control, and Gauge (or as the game accidentally writes it, Guage). Each also has their own special shot to be used when the aforementioned gauge is full. 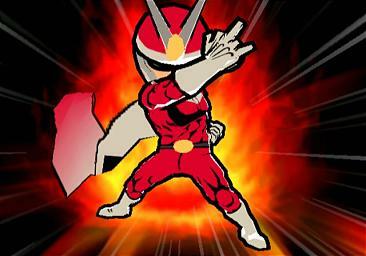 For instance, Billy uses the Ballistic Smash which allows him to hit a smash shot much higher and faster than normal. Meanwhile, Daddy means business with his Explosive Lob Drop which is a lob that targets an opponent, and when it makes contact, it blows them aside. When the gauge is full (done by successful rallies), a simple hold of the shoulder buttons near the ball will unleash that family member's special shot. but watch out for his power shot! As there are eight characters in the game to master, there are six courts to dish out some tennis-themed punishment to your opponents on. Each court has its own ball speed (slow to fast) and bounce (low to high). One court has you playing in a tranquil forested park, another has you slip-sliding around on ice as you try to control your character, while another has you battling on a lunar crater where the ball bounces its highest (as do the family members' jumping abilities). Family Tennis 3D offers three modes of play in the main game: Free Play, which offers the ability to set up a game consisting singles or doubles, made up of a given number of games and sets, with whatever characters you want (though you don't get to choose your opponents questionably), and whatever of the six courts you wish; Tournament, which has three difficulties that sends you in a series of four matches (the first three are 2 game, 3 set affairs while the final is always a 2 game, 5 set affair). Winning on the highest difficulty unlocks a congratulations screen for the character you won with in the Gallery menu (this gives the game some much needed replay value); and finally, Minigames, which there are three of. The minigames in Family Tennis 3D display some creativity in the majority of the excursions. The first, Roulette Rally, has you and your opponent trying to direct the ball across numbered panels on each side of the net. The player that gets the ball past the other opponent wins all the points they have accumulated. The first player to 1,000 wins. Another game is called Human Backboard. The goal of this game is to rally with an opponent. As you rally's length increases, so does the amount of points for grabs. Getting the ball past your opponent means you win the points tallied. The player that gets to 100 first wins. Lastly, Survivor does not cast you on an island with Jeff Probst as your host. No, instead it pits you against opponent after opponent until you lose. The three games deliver some fun for awhile, but one of the game's main problems rears its nefarious head in. 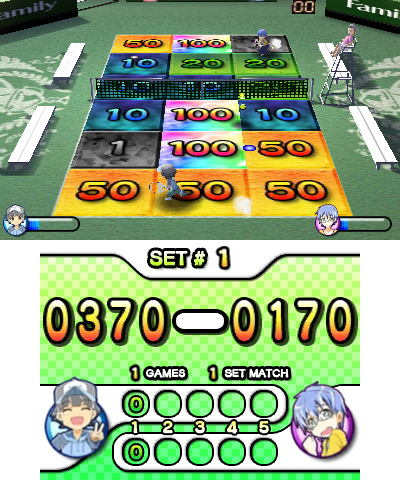 mini-games within Family Tennis 3D. This main problem of Family Tennis 3D is the complete and utter lack of any form of multiplayer with human opponents. If you have friends who have a 3DS and want to play with you or friends you would like to get served (see what I did there? ), you are out of luck. You are stuck playing with AI opponents across three difficulties. And the AI even on Pro, the hardest difficulty, don't possess the highest computer-controlled brains in a tennis game. I've had it where the CPU just runs past a ball, and into out-of-bounds territory for no reason whatsoever. Sure, it's funny the first few times and gets you an easy point, but when the AI's best does this on a routine basis (once every other game on Pro), it gets ridiculous. I really started wishing I could take on someone of my own skill level. Family Tennis 3D is meant to be a more casual, laid-back tennis title, and it succeeds in that mission. You can perform different types of shots with the A, Y, and X buttons, giving the ball a topspin shot, a slice shot, and a lob shot respectively. If this gets too confusing for a player, they can switch to Easy Mode in the options menu. Easy Mode makes it where you can still hit slice and lobs shots with the Y and X buttons manually, but using the A button will automatically select the right type of shot for the given playing situation. When a ball is hit to your side of the court, a dot will appear where it is going to bounce. If you or your opponent are too far away from the ball when it is hit, the family member will dive for the ball, knocking the ball high in the air. This gives you or your opponent a smash opportunity, one that will hit the ball with such velocity that it can be hard to hit back. but where's the drunk uncle? The presentation of Family Tennis 3D is all over the place. The visuals won't win any awards, but they are attractive and colorful enough to get by. The 3D is not too terribly great, but it, like the visuals, is serviceable. Thankfully, the load times aren't very long. However, if you're going to have short load times, then Arc System Works, please don't have a lot of text on a loading screen to read, especially if they're helpful hints about your game! It is next to impossible to read paragraphs of text when they go by within seconds! Additionally, something else that might vex players going into Family Tennis 3D is the lack of English voices. Everything uttered in this title is in pure Japanese. It might be charming to some -- I didn't mind it -- but others will be turned off by the high pitched squeals of Billy and Sarah, moreover considering they wouldn't be able to understand them. Finally, I wish there was an option to skip replays. While replays show off an entire point earned and that is nice, it would also be nice to be able to not have to see them if I didn't want to. Yes, it's just a simple button press to forgo a replay, but it adds up over time. 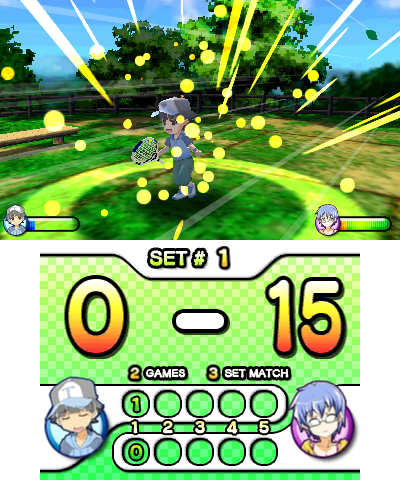 Family Tennis 3D is a pretty good tennis game for casual players as well as more dedicated gamers. Arc System Works's game is a competent arcade tennis romp that contains plenty of charm as well as fun and engaging gameplay. Still, the two biggest quarrels I have with the title is that 1) there is no multiplayer to be found, and 2) a result of #1, the replay value of the game is not too high. That is not even going into the small problems with the AI and the lack of localization in the voices. What you are left with is a tennis title that is definitely not for everyone, but with an open mind (and an open wallet) you will be blessed with a tennis experience that is simple yet deep and rewarding. If Mario Tennis Open let you down, perhaps Family Tennis 3D is the game for you. We continue October with a new review for a 3DSWare title. 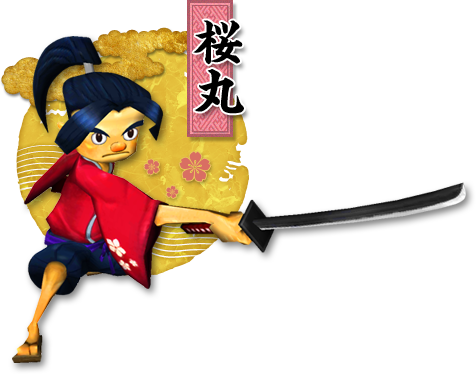 It's Sakura Samurai: Art of the Sword, known to our PAL pals as Hana Samurai: Art of the Sword. Different name, same game. How does it play? Let's find out with my review. Since early summer of last year, the Nintendo 3DS system's eShop has seen a robust lineup of interesting offerings, some good and some bad. We've seen great titles like Pushmo, Mighty Switch Force, and Mutant Mudds, for starters. 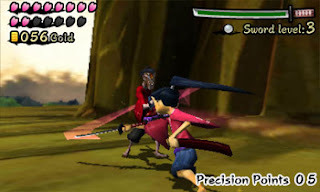 A title that released in the first quarter of 2012 in North America, Sakura Samurai: Art of the Sword, has finally released in European territories, though renamed Hana Samurai: Art of the Sword, for whatever reason. Is the swordplay within the game a work of art or a disaster of a masterpiece? The story of Sakura Samurai is very simple. You are the main titular character, Sakura Samurai, and you are taught the ways of the sword by a kappa creature. Your journey's objective is to scour the land in search of the kidnapped Princess Cherry Blossom. The quest will take you across plains, through bamboo forests, and into ancient Japanese castles. The game features three main castles where Princess Cherry Blossom is supposed kept in. Between these three castles are various battlefields where Sakura Samurai will unsheathe his sword and fight. For every new battlefield cleared, your hero receives a Sakura fragment (it looks just like a rose petal). Collecting two fragments increases his health by one unit, so it's smart to try to complete all battlefields to have as much health as possible to tougher bouts. Welcome to Sakura Samurai's world. Sakura Samurai is a game I like to compare to Punch-Out! !, but there is a much greater freedom of movement. Instead of being relegated to moving to the sides, you can walk freely all around the battlefield. 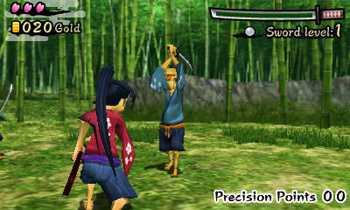 Generally, an encounter contains multiple enemies to slice and dice through such as samurai swordsmen, spearmen, archers, ninjas, and more. Each attacks differently. 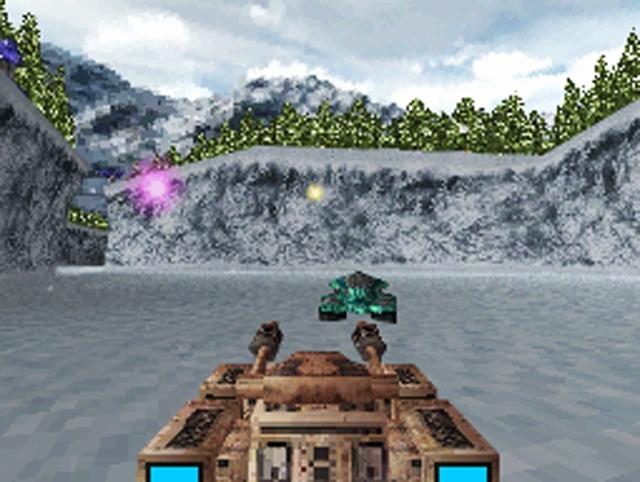 The game, which uses an over-the-shoulder camera view, will automatically lock on to the nearest enemy that is set to attack you. Just like with Punch-Out! !, an enemy will choreograph their attack, giving you a signal on when to dodge. Dodge correctly and your bewildered foe will be open to a strike of Sakura Samurai's sword. You can also block attacks with your blade, but this will dull it over time (it will also dull if an enemy blocks your attack). 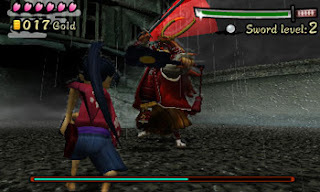 As stated, each enemy attacks differently, and some, particularly bosses, do not just attack once but make multiple strikes in succession, forcing the player to have fast reflexes and even faster fingers to dodge an assault. Enemy strikes downward, dodge to the side. If you dodge with perfect timing, you will earn a precision point, as well as be able to strike a foe twice instead of just once. You can earn up to 99 precision points, but you will lose them if a baddie blocks your attack, if you are damaged, or if you block a foe's strike. Earned precision points can be sold in the game's various villages for gold. I particularly enjoy the timing and precision battles require. It keeps you on your toes immensely, and makes it so every battle is important. Some enemy types are easier to defeat than others, but there is no better feeling within the game than masterfully cutting through an armada of foes with perfect precision. These boss characters certainly mean business. Speaking of the village, each area of the game (I refer to areas as places between boss castles) has a village for your samurai to have a bit of a respite in. It is at these out-of-the-way places where you can rest and save your progress at the inn, buy helpful goods at the local shop, repair or increase the strength of your sword at the local blacksmith, and participate in numerous street challenges for gold. An example of one of the villages within the game. You can spend all your acquired gold at the store, which has a fine selection of items to purchase such as whetstones which can be used to repair a dulled blade in battle, daggers that can be thrown at faraway foes, health restoring rice cakes, frogs that will make some enemies vulnerable for a limited amount of time, and other beneficial items. Street challenges change based on what village you are in, but these are the perfect places to earn lots of gold and prizes. You can bet as much gold as you have on you to go from rags to riches in an instant. (And since you can save your progress in the village, you can reset the game if you lose. It's a cheap tactic, but it works.) Such challenges require you to time your sword strikes to make a perfect slice right through the middle of thrown melons, to slash through falling objects, or to slash through sad and angry melons while avoiding slashing through happy melons, to name a few challenges. Sakura Samurai is a nice looking game with colorful backgrounds, though at some times it can seem a bit subdued. 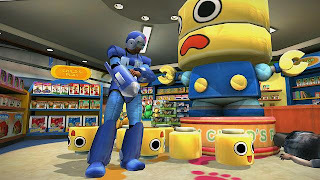 Characters animate well and are designed nicely, and the backgrounds, while not tremendously detailed, have enough put into them that the game does not look cheaply made. Battles all run at a relatively steady framerate, something paramount for a game based on timing. The stereoscopic 3D of the Nintendo 3DS works wonderfully for this type of game. You get a real sense of depth to help dodge and evade attacks and get full feel of how far away enemies are. Moving to sound, the music is a subtle mix of ancient Japanese sounds, perfectly fitting for Sakura Samurai's setting. Overall, the presentation is very nice given the price and size of the game. Master the elegant art of the sword. Sakura Samurai: Art of the Sword is not a particularly long game, averaging around 3-4 hours to beat (one of my main beefs with the title). However, the game is one that players can come back to and enjoy on any occasion. Those who like the Punch-Out!! series or are interested in medieval Japan should definitely take a look at the title. It demands some skill in later levels, but the addition of items to assist within battle help bring the otherwise high difficulty down. All in all, Sakura Samurai can sheathe his sword and stand proudly in the sunset knowing that he is a part of a brilliant game. When the Xbox 360 debuted, it introduced a novel concept to gaming - system-wide points for achieving certain in-game goals. Now, Sony would implement a similar system along the long in the form of trophies, which I actually prefer. Instead of some arbitrary point amount, you have gold, silver, bronze, and platinum trophies. These made seeing which feats in a given game are the most difficult by what color trophy is assigned to it. Generally, challenging goals are tied to gold trophies, trophies that take a little work and a little less time are tied to silver, and small goals are tied to bronze. With the platinum trophy, it is very simple to see what retail games on your friends' trophy lists were completed 100%. A loud, proud, and elegant platinum trophy icon is right there. Are trophies/achievements (still) important to you? Now, trophies and achievements are wonderful things because they enable players to delve deeper into games they might just shelve as soon as they see the ending or just grow tired of the game. At first I was addicted to collecting these achievements to boost my Gamerscore and show to my friends that I dominated a game. I let my Xbox 360 stay on overnight to complete one of the more dedicated and time-consuming achievements in Dead Rising in order to get the full 1000 Gamerscore (now knowing about the RRoD, that wasn't that smart in retrospect). But then I started to realize that I was not having as much fun. Why was I bending myself over backwards just to complete some arduous tasks that weren't enjoyable to do just to get some worthless point number? So now I simply play through the games that I like, and if I really admire the game I am playing, I will go for the trophies (my 360 died on me, so goodbye to achievements) that seem reasonable. For instance, I will happily try to get all the trophies in Ratchet & Clank, but will avoid trying to get 100% in Final Fantasy XIII. But that's not the inherent problem with trophies and achievements that I have. No, I am of the Nintendo/Sega era. I grew up on the NES, SNES, Genesis, and consoles on, and I have a fond memory of doing in-game tasks and being rewarded for them with in-game unlockables. Back in the day (that's what the kids still say, right? ), when someone beat a game on the hardest difficulty, they earned a cool unlockable. For instance, I remember beating Viewtiful Joe on the Nintendo GameCube on Ultra V-Rated mode (the most challenging of difficulties, not to brag) and unlocking Captain Blue as a playable character. That was on top of unlocking two other characters through easier modes. Nowadays it seems that all one would get for doing such a task is a meaningless trophy or achievement for all their hard work. down to how the game awarded unlockables. Going back to Dead Rising, that game did achievements right. Not only did you unlock Gamerscore points for doing specific tasks, but you were also awarded with in-game stuff like new weapons and costumes. If you wanted the most spectacularly overpowered weapon in the game, the Real Mega Buster (of Mega Man fame), you had to defeat 53,594 zombies in one run through the story. Why can't more games bestow the player with cool rewards in addition to points and trophies? I realize that some Xbox 360 games give out avatar pieces for some achievements, but I am meaning more in-game things and not system-related. There were rumors that Nintendo would implement their own type of achievements into their upcoming Wii U system. That would have been just fine, but even then I would have hoped that developers would have still pushed for unlockable content. Masahiro Sakurai, the creator of Kirby, Super Smash Bros., and the mind behind Kid Icarus: Uprising, does it right. His games have a checklist or prize wall that contains a smorgasbord of different challenges to do. Each time a challenge is completed, the box that the challenge sits in gets checked off and a reward is handed out. The neighboring boxes then reveal what the player has to do to satisfy the conditions of those challenges. This is how it has worked for Sakurai’s past games like Kirby Air Ride (GCN), Super Smash Bros. Brawl (Wii), and Kid Icarus: Uprising (3DS). From trophies to new battle arenas, to new songs, to other rewards, there is no shortage of things to unlock. 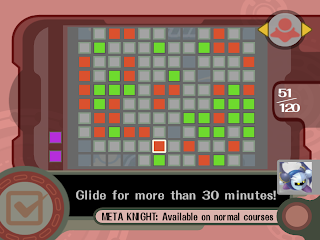 The checklist feature of Kirby Air Ride. These are the types of games where the rewards aren’t just points or virtual accolades. No, they’re things a player can use within the game to not only achieve goals but get something useful and fun out of it. That’s the type of era I was raised in, and I look with great nostalgia back at it (while looking like an old fogey). I hope some developers keep the old school mindset of unlockables as the short syllabic jingle that popped up when I got an achievement on my 360 just isn’t enough anymore. What about you, dear SPC reader? Do you still go after achievements and trophies and find the task enjoyable? Do you try to get 100% of the achievements in every game you play? Let the community know your thoughts on achievements and trophies in the comments section below. Last Thursday I kicked off reviews for the month of October with a look at Kart Krashers, a DSiWare title by Big John Games. Speaking of which, I recently had the chance to speak with Ken Patterson, the founder of the studio. We talked about their latest game in Kart Krashers, Nintendo's game acceptance policy (how easy or hard it is to get a game accepted on their marketplace), how a developer receives a Wii U developer kit, and so much more. SuperPhillip (SP): How did Big John Games come into fruition? When was it founded? Ken Patterson (KP): I founded Big John Games after winding down my first studio "Window Painters" in 2001. While I was at the helm of Window Painters we did a lot of work for Disney Interactive. We developed the "Print Studio" creativity game series for Disney. We we were the developers of the critically acclaimed PC video game "Nightmare Ned", check out the funny video of it on You Tube.. At Window Painters we also developed two popular fishing game series, "Zebco 3D Fishing" and the "FLW Tournament" fishing series. My focus for Big John Games was to get into console development, and move away from PC "work for hire" development. Our first console game was a reboot of "Trophy Bass" for the XBOX, that game turned out very well. We then had the opportunity to start developing for the DS and created "Spitfire Heroes" and "Plushees" for DS retail. We noted some struggles at retail and our next two DS projects (Thorium Wars and Working Dawgs) had trouble finding retail partners so we kind of dipped our toe into DSiWare publishing with Thorium Wars. Thorium Wars did well as digital download for us so we made a commitment to DSiWare and WiiWare as our way to release games. SP: How does your studio distinguish itself from other downloadable game developers, especially those making games on the marketplaces (e.g. 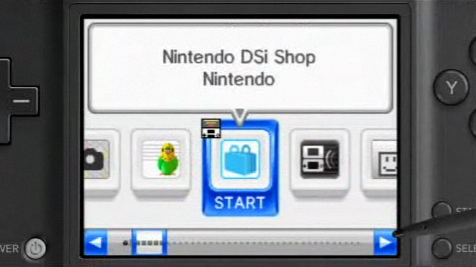 WiiWare, DSiWare, 3DS eShop) you folks do? KP: That's a really good question. Having come from a history of retail game development, we try hard to put out a game that has retail value applied to it. We have a nice blend of people like myself with over 20 years experience in this industry, and young talented, passionate developers that bring in new ideas and excitement to our game development process. The team's are very tight and committed to building a game experience that will resonate with the player. We build games that appeal to us as gamers. Hopefully the players of our games feel that when they play our games. 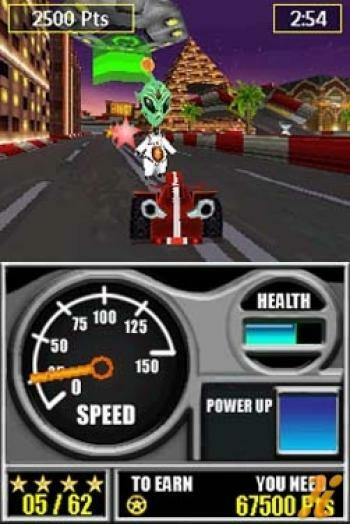 SP: Your latest game, Kart Krashers, recently released for DSiWare. Where did the inspiration to make the game a collecting-based game rather than a standard kart racer come from? KP: It came from an internal game that we had been working on. Basically it was a delivery style game like "Crazy Taxi" but the game never hit the excitement and fun threshold we wanted. So that project was put aside for awhile. I came back to it last summer, and I drove around and smashed into everything, and had a blast. I then realized that I did the opposite of the rules for the "Crazy Taxi" style game where you needed to avoid these objects. Thus the idea light came on. We made a quick prototype of the hit objects for points game play, and we enjoyed it very much, it had the fun level we were looking for. So we went forward with full production of the game. SP: How long did it take to develop Kart Krashers? KP: It took nine months to develop. SP: What are you hoping players experience with the game? Is there anything you wish to tell them? KP: We hope the players experience a great sense of speed, and also develop strategies for collecting the stars to boost the multiplier and reach the highest point level possible. There are many ways to score points and approach high scores. We had fun with competitions on reaching high scores here at the studio. SP: One of the criticisms in my review of Kart Krashers was the lack of an online leaderboard for friends to compare scores across the web. Was such a feature not included because it was simply not feasible for a studio of your size? KP: Yep, online scoreboards would have been a great addition. There were some issues with that we just did not have time to deal with. You will see in future versions of Kart Krashers a much stronger online and multi player approach. SP: What can you tell my readers about the game certification process for putting new games on Nintendo's various marketplaces? Does it take too long, or is it satisfactory in how long it takes? Has the experience improved since you started? KP: We cut our teeth on the Lot Check process with the earlier retail games. So we already had a process and mindset to make sure our games will follow the Lot Check guidelines. Making the sure the game play is correct and the game does not crash is something our QA process is responsible for. Properly dealing with DSi specific issues is what Lot Check looks for. These are important to the user experience with the DSi so we take it seriously and follow the guidelines provided. Lot Check typically takes about 4 weeks for us, which we think is completely reasonable. Over time our we have developed a code base that conforms to Lot Check guidelines so this helps. Lot Check is continually adding guidelines as users find issues that may effect there game play experience with the DSi system. This is great, we all want happy players. SP: Do you think you get enough promotion from Nintendo on the company's various marketplaces currently? KP: Of course not. I wish Nintendo would drop everything and just focus on only BJG's games. OK, so that is not going to happen. Nintendo is working to promote all of the games it offers for downloads. There are certain games that get a little more promotion, that is because they offer something the the player that Nintendo values. Typically games that get a little extra promotion, offer what Nintendo thinks is a quality experience for its players. This is a good way to inspire developers to bring valuable experiences to its players. This is a good thing. It raises the bar, so that we as developers work to make a quality experience and we may get a little extra promotion out of Nintendo. Ultimately promotion of the game is the responsibility of the developer / digital publisher. You just can not stop at developing the game, you have to make an effort to let the players out there know your game is available. Blog sites like yours are very important in getting the word out. Yes we developers have to nurture and work with our marketing sides at times. SP: You have on your homepage that you are a certified Nintendo 3DS game developer. Is your studio thinking of creating a game that is exclusive to the Nintendo 3DS's eShop? KP: We are currently finishing our first 3DS game, Coaster Creator 3D. It is a really cool way to design, edit and ride roller coasters and ride them using the 3DS 3D. We use a spline based system for forming the coaster tracks. You use the stylus to pull and twist your track. We also have wizards for loops and twists. It's a very new way to create coaster and works extremely well on the 3DS. SP: You are not currently listed as a developer for the Wii U, but are you currently in the process of attempting to be one? How does that process work (i.e. how does one become a developer for a new platform)? 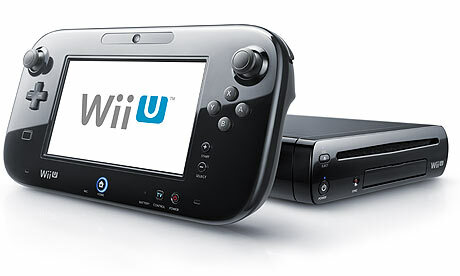 KP: We will be developing Wii U products starting next year. Studios can submit project concepts to Nintendo, and if Nintendo likes these concepts you can get access to Wii U dev kits. Nintendo will also seek out studio's that they have identified as having content that they would like to get onto there systems. It's about getting the most relevant content to the players that Nintendo will use as it's guide for seeding new console development. We have some cool concepts for Wii U and will submit them early next year. In the mean time we have a few more DSiWare games we will be releasing and we will also be bringing more 3DS native games to the eShop. SP: Is there anything else you would like to tell my readers? KP: Thank you, for supporting Nintendo digital products. Nintendo digital stores are getting much better, and attracting more consumers. This makes for a vibrant marketplace which is exciting to us developer / publishers and the players. I hope your readers will give Kart Krashers a try. We really worked hard to build a unique, fun, and entertaining game. I firmly believe, that the most innovating products are coming out as Nintendo digital offerings. It was once again a pleasure to interview someone within the gaming industry, seeing the viewpoint of someone that I normally would not get to look at, and learning new things about a developer's design process among other neat tidbits. If you are interested in Kart Krashers and you own a Nintendo 3DS or DSi system, you can go onto the online store and pick up the game for $4.99. Regardless, I hope you enjoyed this interview, and I cannot thank Ken Patterson of Big John Games enough for his time. It's the start of another work week (but for me it's Fall Break), so you know what that means! It's time for another installment of SuperPhillip's Favorite VGMs! Kirby celebrates his 20th anniversary this year, so I figured it would be an opportune time to dedicate an edition of the VGMs to him. His latest brand-new console release was last year's Kirby's Return to Dream Land on the Wii. I originally gave the game an 8.75, but playing it again I found myself enjoying it a whole lot more. Regardless, we have five tracks to represent that game. Let's begin, shall we? 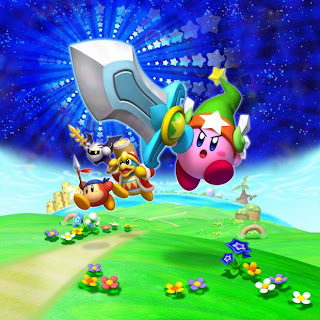 The entire soundtrack of Kirby's Return to Dream Land was composed by Hirokazo Ando and Jun Ishikawa, veterans of the franchise. The opening world of the game is Cookie Country, an area full of verdant plains, lush forests, and even a cave or two here and there. 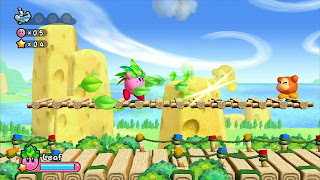 The world introduces a majority of the gameplay elements that inhabit Kirby's 2011 adventure. This theme is an uptempo tune with plenty of happy happenstance to go along with it. It is a song fitting for the relaxing stroll through the country. An updated version of Kine the Fish's theme song, this beach theme from the third world in Return to Dream Land welcomes players to an area of clear blue water, sandy shores, and palm trees. Kine the Fish debuted in Kirby's Dream Land 2, one of the more difficult games in the series if you wished to nab that all-impressive 100% completion percentage. I don't know what it is about this bonus stage theme, but it always manages to put a smile on my face. From the opening guitar synth to the quirky melody, there is something special to enjoy with this Key Challenge theme. Many bonus areas of Return to Dream Land possess energy spheres, the collectibles of the game. Gathering as many as possible opens up new challenge stages within the Lor Starcutter ship. These challenge stages give Kirby (and the players that control him) mastery of a given power. 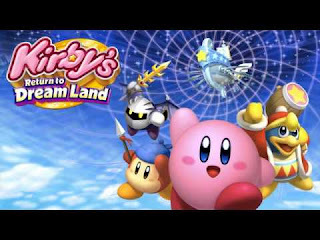 We have a percussive ambiance of factory noises alongside a rocking guitar to drive the theme of Steel Station, one of the level themes of the penultimate world in Kirby's Return to Dream Land. While earlier levels featured cutesy and happy-go-lucky themes, you know you're getting serious when this sixth world level song plays. This is all the while running on conveyor belts and avoiding being crushed by platforms. One thing I did not mention is that the song titles are by no means official. There is no full official soundtrack, so what you have been hearing is a game rip. Why Nintendo cannot come out with full official soundtracks for people who obviously would buy them is beyond me. Nonetheless, we have the theme of one of the final levels in Return to Dream Land, set in an otherworldly volcano. Just like the previous song's serious tone, we have another track that tells the player that they're in it till the end. That concludes this edition of my favorite VGMs. Next week we will have a game that is a PlayStation Portable remake of a Super Nintendo game. The remake is considered by many (yours truly) as very much superior to its original. Can you guess what it is? You'll know the answer for sure next week! Until then, check out my VGMs Database for every song I have put in the spotlight since the beginning of this year.